Great location in the quiet beach community of Lakeside. 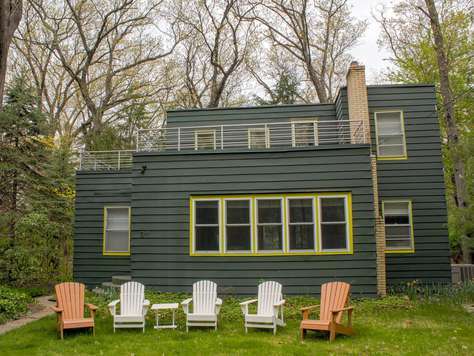 This large three bedroom cottage is across the street from Lake Michigan with deeded beach access. 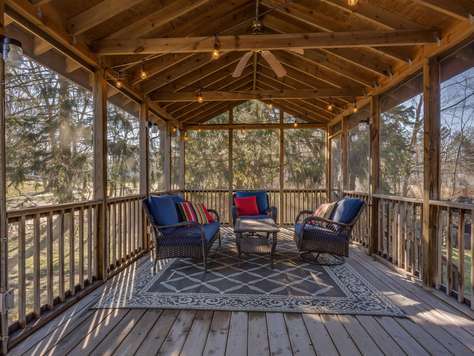 Blue Jay has a large screened in-porch with comfortable seating for 6-8 and a large second floor outdoor deck with seating for 10 with round tables and sun umbrella overlooking grassy side yard surrounding by soaring gracious pine and oak trees. 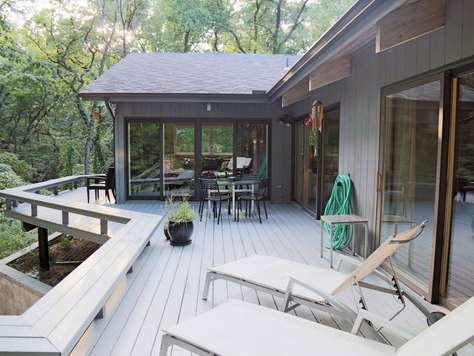 The first floor also has a wooden deck with picnic table with seating for 6. 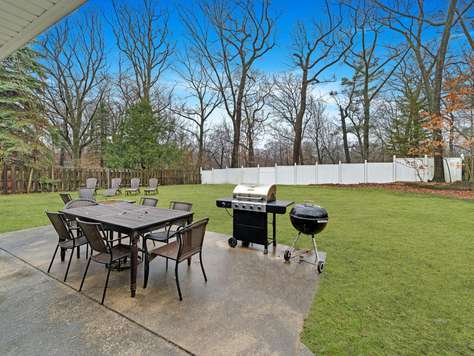 Outdoor gas grill and Weber grill on first floor deck. Fire pit with seating for 10 and a large side yard. A short drive to everything Harbor Country has to offer. Dinner options include Casey’s, Red Arrow Roadhouse, Skips Restaurant, Stray Dog, and of course the famous Redamaks. The Blue Plate Cafe, great place for breakfast and lunch — just around the corner. For all the gamblers in the group Four Winds Casino in New Buffalo is located about 10 minutes away. For the drinkers you have Greenbush Brewing Company in Sawyer which is a local microbrewery or Journeyman Distillery in Three Oaks which is a craft distillery focused on organic whiskey & spirits. While out and about you have numerous Antique shops, winery tours, Acorn Theater in Three Oaks, back road bike trails, kayaking, waverunner rentals, boat rentals, and golf. 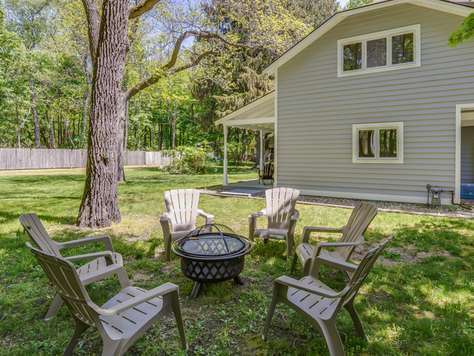 Relax with your family in this cozy home in the heart of Harbor Country! 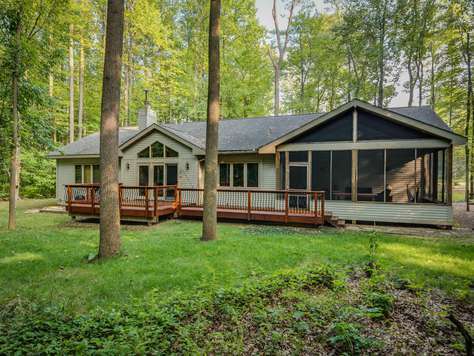 This beautiful 3 bedroom, 2 bath home sits on a wooded, one-acre lot on a quiet cul-de-sac. Truly a getaway that is near it all! Only 2 miles from the Warren Dunes State Park! Warren Dunes has three miles of shoreline, six miles of hiking trails, and is open year-round for swimming, hiking, and sledding. It also has a dune formation that rises 260 feet above the lake with spectacular views. The Warren Dunes is also where you will find kayak, Jet Ski, and stand up paddle board rentals. Or head 9 miles to New Buffalo where you will find great shops, restaurants and the Four Winds Casino. Back at home, visit numerous antique shops, specialty stores, restaurants, Sawyer Garden Center, and Greenbush Brewery. 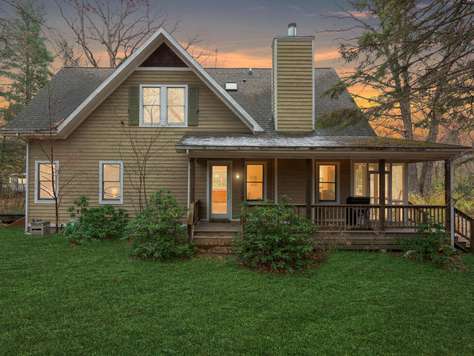 Bike trails, hiking trails, and Kayak rentals down the Galien River are all just minutes away. Also nearby are numerous art galleries, fruit stands, seasonal U-Pick fruit, and golf courses. A short walk (less than 1/2 mile) to the shores of Lake Michigan. 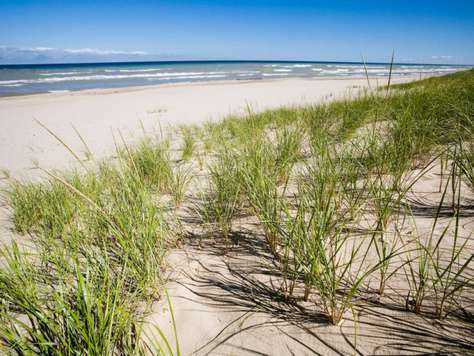 Sandy beaches, and trails through dunes, marshland, and jack pine forests make for a great family vacation, friends getaway or a couples retreat. 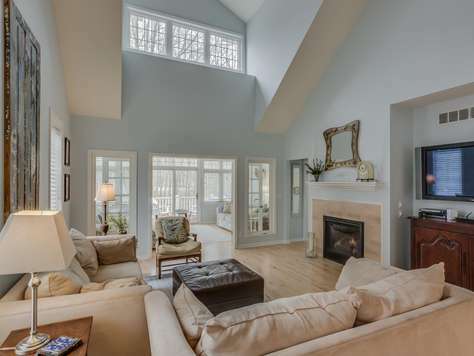 Updated and well-appointed home with an open floor plan is nestled in a friendly beach community. 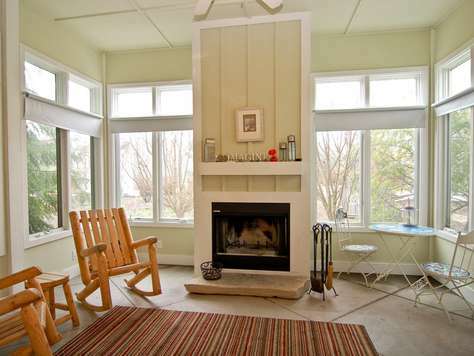 This property is well maintained and equipped for the comfort and convenience of our guests. 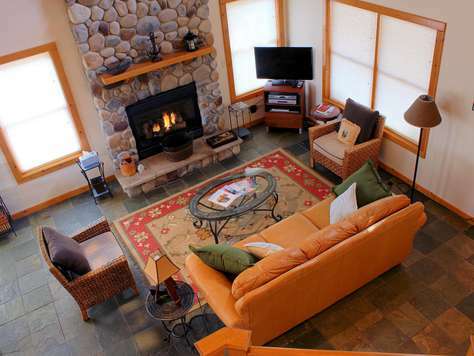 Our vacation rentals include well-equipped kitchens, living and dining areas. Linens and towels are provided. Homes have washers and dryers, a dishwasher, central heat and air conditioning, DVD-player, and high-speed Internet service. This home does not have cable/satelite but does have Apple TV, Netflix and Amazon TV. Located just 300 hundred feet south of Stop 37 beach entrance, this two bedroom two bathroom home sits on a nice oversized lot with direct lake views. 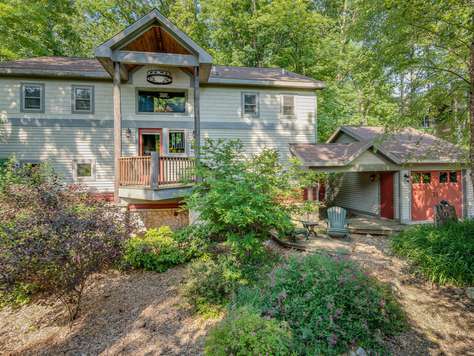 Located just minutes from everything. 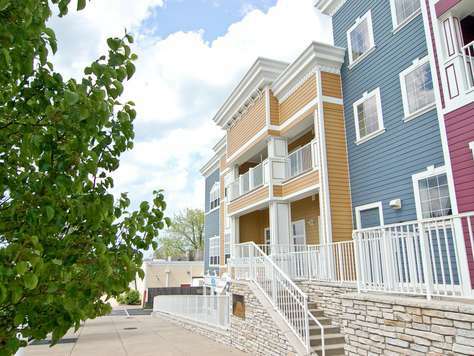 You have two bedrooms, 2 full bathrooms, outdoor seating with direct lake views. Stop 37 beach has almost no stairs and is pet friendly during certain hour of the day. 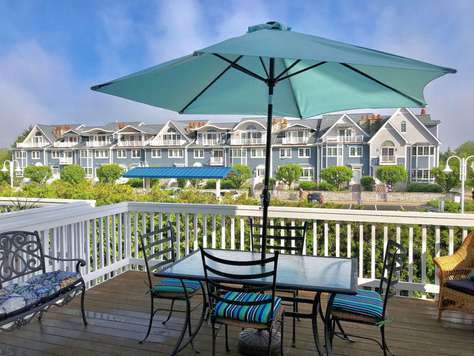 Great home for a family looking to enjoy the beach and some peace and quiet, other then then the sounds of the waves! Please be advised that Stop 37 beach is the beach available for this property. 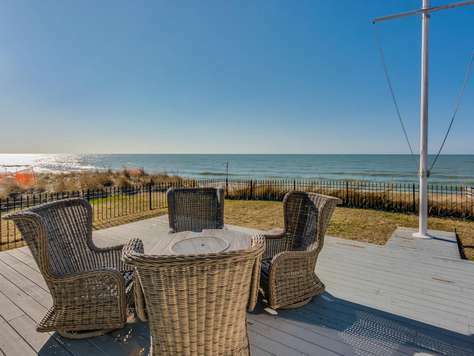 The beach directly in front of the home is private property. 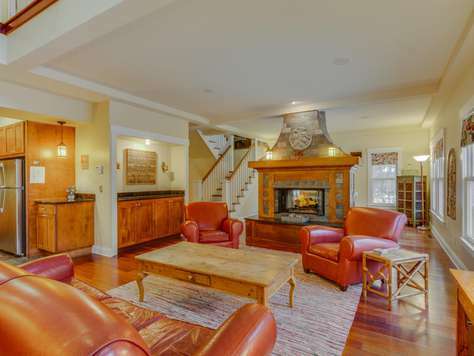 Large six-bedroom rental that sleeps thirteen. 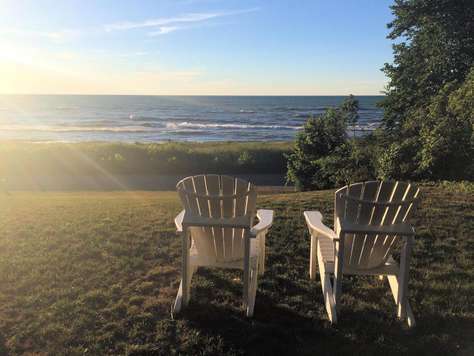 Located in the Michiana Shores - Long Beach area of Northwest Indiana - just south of New Buffalo, Michigan it is your gateway to outdoor fun, with golf, horseback riding, and the beach just minutes away. A short drive to two large Casinos, a zoo and movie theaters. 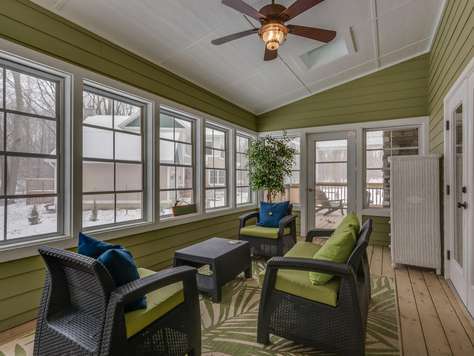 The open floor plan has plenty of room for everyone and still feels cozy; making it perfect for entertaining, a friendly game of poker, or a six-hour Monopoly game with the kids. 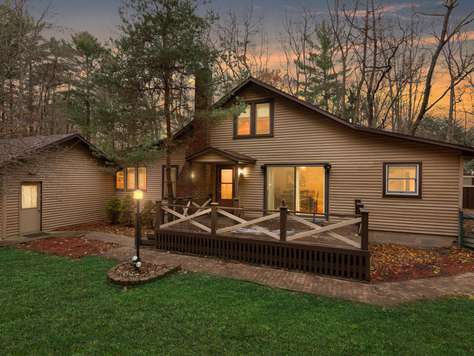 More space and privacy; ideal for large gatherings and family vacations. 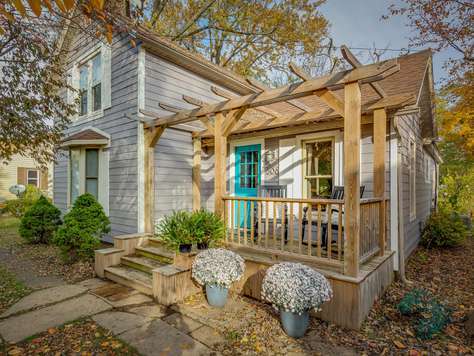 Cozy 2 Bedroom - 2 Bath cottage in Lakeside Michigan. 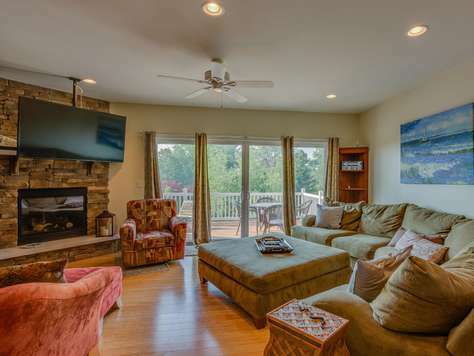 Petite Maison has beach access a mere 25 yards down the road and outdoor amenities like a large deck, picnic table with seating for six, both Gas & Charcoal grills for cooking and a fire pit with seating for six. 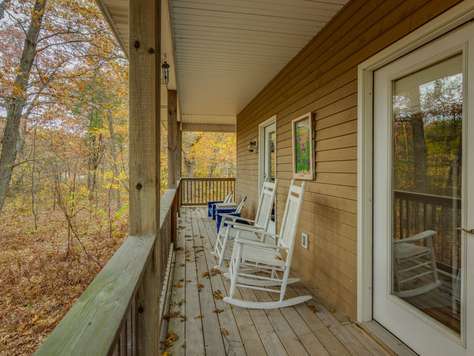 A weekend or a week-long stay, Harbor Country has something for everyone and this property places you in the middle of it all. Dinner options include Casey’s, Red Arrow Roadhouse, Skips Restaurant, Stray Dog, and of course the famous Redamaks. The Blue Plate Cafe, great place for breakfast and lunch — just around the corner. For all the gamblers in the group Four Winds Casino in New Buffalo is located about 10 minutes away. For the drinkers you have Greenbush Brewing Company in Sawyer which is a local microbrewery or Journeyman Distillery in Three Oaks which is a craft distillery focused on organic whiskey & spirits. 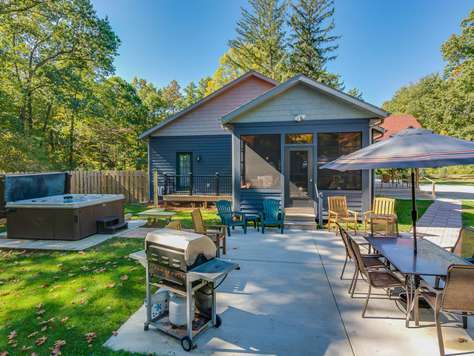 The Elms Bungalow is a newly renovated two bedroom home located in the heart of Three Oaks, Michigan  close to shopping, antique stores, restaurants, Journeyman Distillery, Stay Maker and the Acorn Theater. An open floor plan. The master bedroom on the top floor has a king bed and its own full bath with glass shower and double sinks. The main level has two over-sized day beds in the living space, and two sleeper chairs in the second bedroom. Sleeper chairs open up to the size of a twin bed. Overall great space for 2 adults and 2-4 kids. 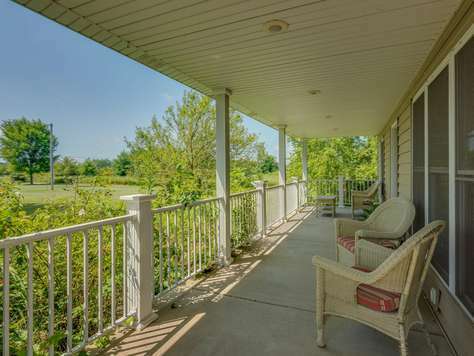 Enjoy the front porch with two rocking chairs where you can sit and enjoy watching the small town go by or the private back deck with plenty of seating and a gas grill. Watch the kids play in a large backyard. 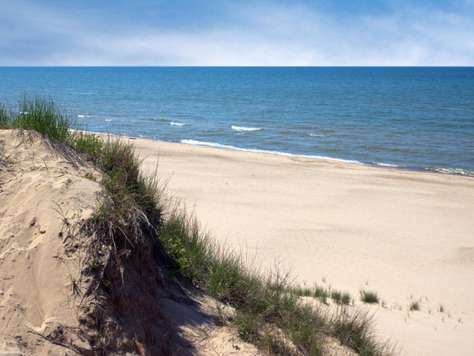 Short drive the the beach in New Buffalo or Warren Dunes State Park. 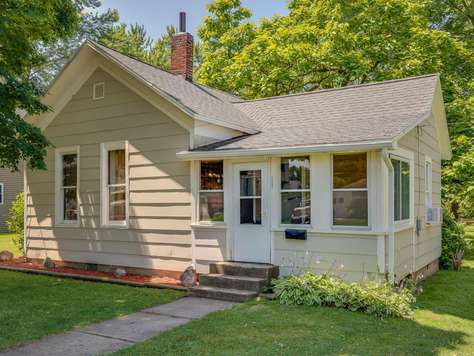 Cute and Cozy 2 bedroom one bath single family home on a nice over sized lot. Located less then a 5 minute walk to the Village of Three Oaks, Michigan -- an arts and cultural hub of activity with a live performance theater, fine arts cinema, art galleries, eclectic shops, and one of Michigan’s largest organic distilleries -- the Journeyman. 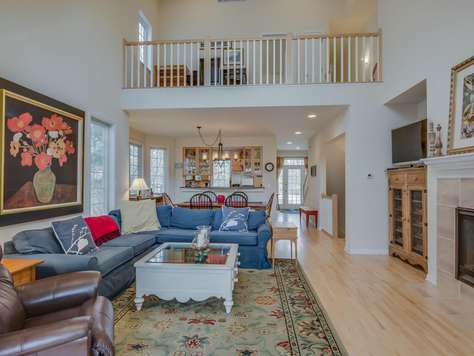 This well appointed home has three bedrooms plus a loft space, and three bathrooms. 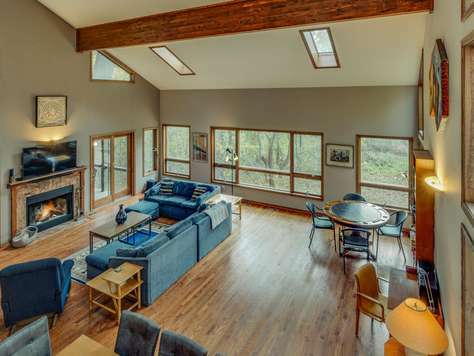 An open floor plan with woodburing fireplace, and a screened in area, set with seating for 8 is a great spot for all to gather. 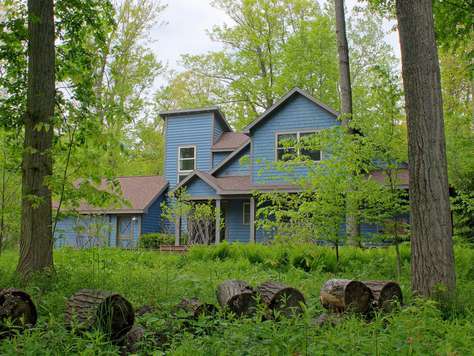 The property sits on a wooded lot with tons of privacy but within a 5 minute walk to downtown Three Oaks -- an arts and cultural hub of activity with a live performance theater, fine arts cinema, art galleries, eclectic shops, and one of Michigan’s largest organic distilleries -- the Journeyman. Why stay in a run-of-the-mill location when you could stay in a spacious, modern, industrial loft apartment housed in the historic E.K. Warren Featherbone Factory complex in Three Oaks, Michigan. This 7,000 Sq ft apartment features exposed brick walls, timber beams, concrete floors on the main level and wooden floors on the upper levels reflecting the building's industrial past. Five bedrooms which can accommodate 14 adults and 4 kids (the apartment is wheelchair accessible). Four full baths and one half bath means there will be no arguing over who gets the first shower! There's a private courtyard, perfect for a family gathering around a campfire or sipping spirits produced steps away -- at the Journeyman Distillery. This property is well maintained and equipped for the comfort and convenience of our guests. The apartment includes a well-equipped kitchen, living and dining areas. Linens and towels are provided. 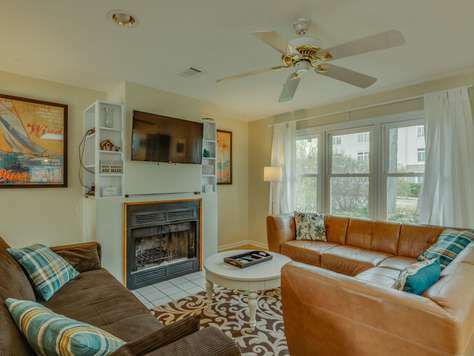 There is a washer and dryer, a dishwasher, central heat and air conditioning, cable/satellite television, DVD-players, and high-speed Internet service. Important Note: The loft apartment is spacious, but we can not accommodate events (i.e. weddings, rehearsal dinners, corporate events). The living quarters are provided as a rental for accommodation purposes only and access is restricted to registered guests (up to 18 people) only. 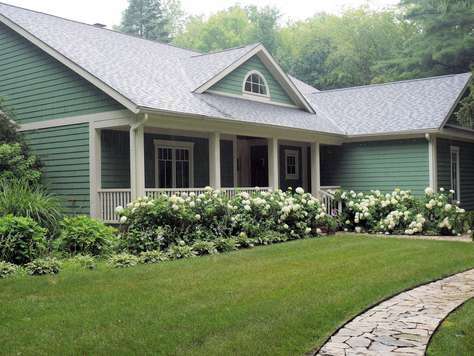 Is your group size is larger then what this property accommodates? 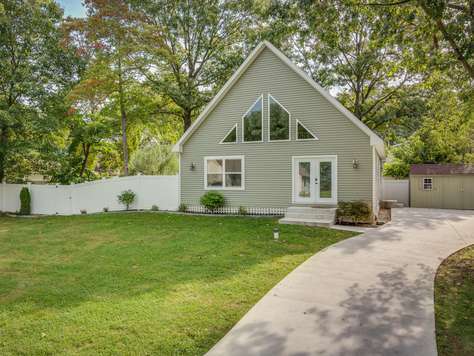 We have another property conveniently located near this one with a maximum occupancy of 14 (10 Adults, 4 Children). Click here for info. 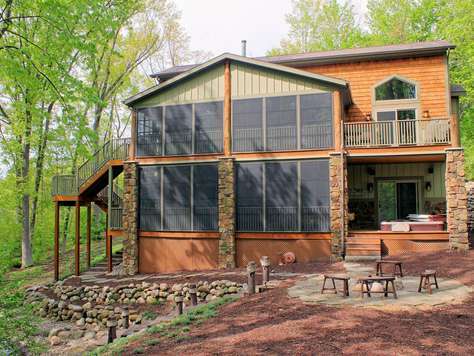 Newly constructed home located on the water side of Red Arrow Highway in Lakeside, Michigan. A short 10-minute walk to Pier St. Beach. 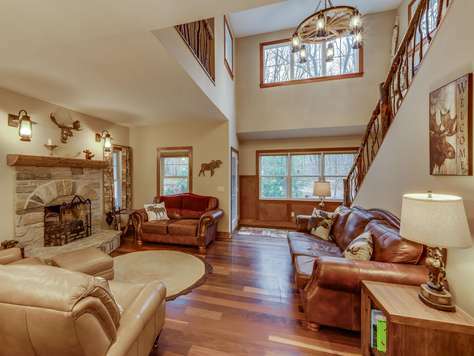 Well appointed 4 bedroom home with over 2300 square feet of space offers room for 6 adults and 4 kids. 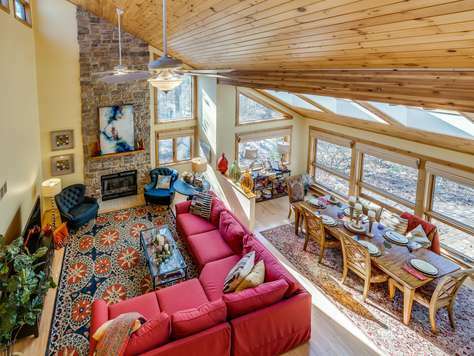 The open floor plan, wood-burning fireplace, natural lighting, wrap-around deck, screened lanai, beach access and wooded setting on a private cul-de-sac make this home an ideal vacation getaway. 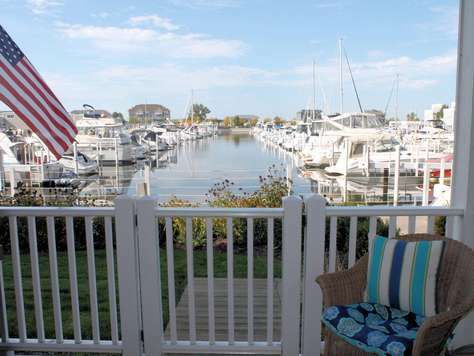 Come to Harbor Country and and enjoy your vacation stay in Southwest Michigan.